Talks between President Donald Trump and North Korea's Kim Jong Un collapsed Thursday after the two sides failed to bridge a standoff over U.S. sanctions on the reclusive nation, a dispiriting end to high-stakes meetings meant to disarm a global threat. 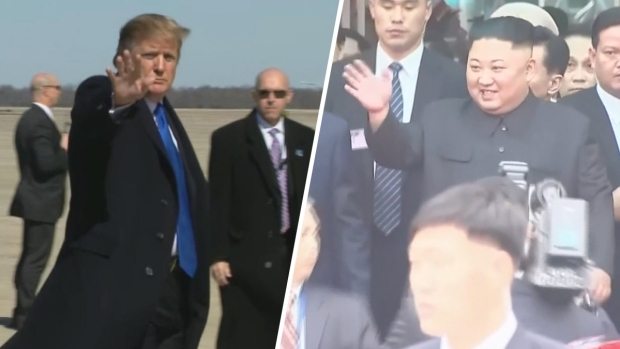 Trump blamed the breakdown on North Korea's insistence that all the punishing sanctions the U.S. has imposed on Pyongyang be lifted without the North committing to eliminate its nuclear arsenal. 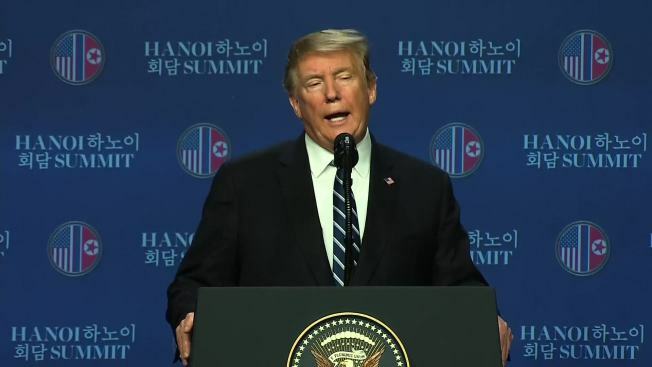 "Sometimes you have to walk," Trump explained at a closing news conference after the summit was abruptly cut short. He said there had been a proposed agreement that was "ready to be signed." "I'd much rather do it right than do it fast," Trump said. "We're in position to do something very special." Mere hours after both nations had seemed hopeful of a deal, the two leaders' motorcades roared away from the downtown Hanoi summit site within minutes of each other, their lunch canceled and a signing ceremony scuttled. The president's closing news conference was hurriedly moved up, and he departed for Washington more than two hours ahead of schedule. The disintegration of talks came after Trump and Kim had appeared to be ready to inch toward normalizing relations between their still technically warring nations and as the American leader dampened expectations that their negotiations would yield an agreement by North Korea to take concrete steps toward ending a nuclear program that Pyongyang likely sees as its strongest security guarantee. In something of a role reversal, Trump had deliberately ratcheted down some of the pressure on Pyongyang, abandoning his fiery rhetoric and declaring that he wanted the "right deal" over a rushed agreement. For his part, Kim, when asked whether he was ready to denuclearize, had said, "If I'm not willing to do that I won't be here right now." The breakdown denied Trump a much-needed triumph amid growing domestic turmoil back home, including congressional testimony this week by his former personal lawyer Michael Cohen, who called Trump a "racist" and "conman" and claimed prior knowledge of foreign powers' efforts to help Trump win in 2016. 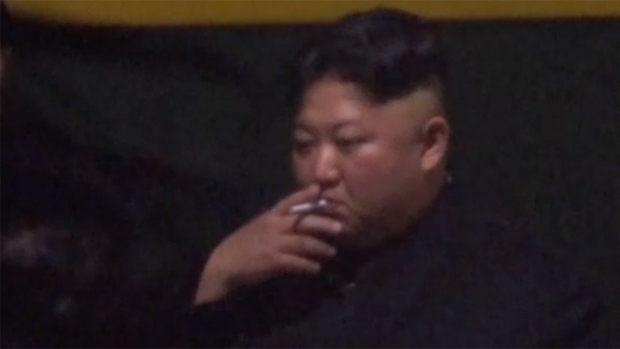 North Korea's state media made no immediate comment on the diplomatic impasse, and Kim remained in his locked-down hotel after leaving the summit venue. The North Korean leader was scheduled to meet with top Vietnamese leaders on Friday and leave Saturday on his armored train for the long return trip, through China, to North Korea. Trump insisted his relations with Kim remained warm, but he did not commit to having a third summit with the North Korean leader, saying a possible next meeting "may not be for a long time." Though both he and Secretary of State Mike Pompeo said significant progress had been made in Hanoi, the two sides appeared to be galaxies apart on an agreement that would live up to the U.S.' stated goals. "Basically, they wanted the sanctions lifted in their entirety, and we couldn't do that," Trump told reporters. Kim, he explained, appeared willing to close his country's main nuclear facility, the Yongbyon Nuclear Scientific Research Center, if the sanctions were lifted. But that would leave him with missiles, warheads and weapon systems, Pompeo said. There are also suspected hidden nuclear fuel production sites around the country. "We couldn't quite get there today," Pompeo said, minimizing what seemed to be a chasm between the two sides. Longstanding U.S. policy has insisted that U.S. sanctions on North Korea would not be lifted until that country committed to, if not concluded, complete, verifiable and irreversible denuclearization. Trump declined to restate that goal Thursday, insisting he wanted flexibility in talks with Kim. "I don't want to put myself in that position from the standpoint of negotiation," he said. White House aides stressed that Trump stood strong, and some observers evoked the 1987 Reykjavík summit between Ronald Reagan and the Soviet Union's Mikhail Gorbachev, a meeting over nuclear weapons that ended without a deal but laid the groundwork for a future agreement. The failure in Hanoi laid bare a risk in Trump's unpredictable negotiating style: Preferring one-on-one meetings with his foreign counterparts, his administration often eschews the staff-level work done in advance to assure a deal and envisions summits more as messaging opportunities than venues for hardline negotiation. There was disappointment and alarm in South Korea, whose liberal leader has been a leading orchestrator of the nuclear diplomacy and who needs a breakthrough to restart lucrative engagement projects with the impoverished North. Yonhap news agency said that the clock on the Korean Peninsula's security situation has "turned back to zero" and diplomacy is now "at a crossroads." 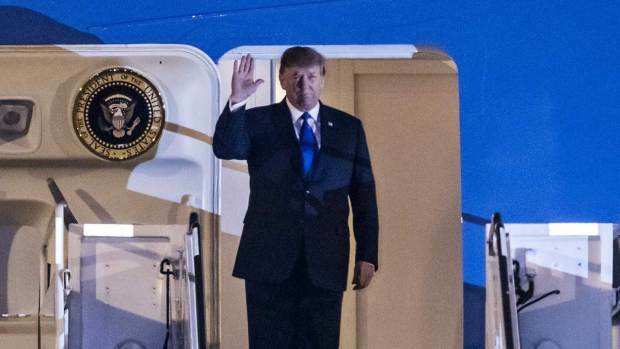 The collapse was a dramatic turnaround from the optimism that surrounded the talks after the leaders' dinner Wednesday and that had prompted the White House to list a signing ceremony on Trump's official schedule for Thursday. The two leaders had seemed to find a point of agreement when Kim, who fielded questions from American journalists for the first time, was asked if the U.S. may open a liaison office in North Korea. Trump declared it "not a bad idea," and Kim called it "welcomable." Such an office would mark the first U.S. presence in North Korea and a significant grant to a country that has long been deliberately starved of international recognition. But questions persisted throughout the summit, including whether Kim was willing to make valuable concessions, what Trump would demand in the face of rising domestic turmoil and whether the meeting could yield far more concrete results than the leaders' first summit, a meeting in Singapore less than a year ago that was long on dramatic imagery but short on tangible results. There had long been skepticism that Kim would be willing to give away the weapons his nation had spent decades developing and Pyongyang felt ensured its survival. But even after the summit ended, Trump praised Kim's commitment to continue a moratorium on missile testing. Trump also said he believed the autocrat's claim that he had nothing to do with the 2017 death of Otto Warmbier, a American college student who died after being held in a North Korean prison. "I don't believe that he would have allowed that to happen," Trump said. "He felt badly about it." The declaration immediately called to mind other moments when Trump chose to believe autocrats over his own intelligence agencies, including siding with the Saudi royal family regarding the death of journalist Jamal Khashoggi and supporting Russia's Vladimir Putin's denials that he interfered with the 2016 election. If the first Trump-Kim summit gave the reclusive nation's leader entree onto the international stage, the second appeared to grant him the legitimacy his family has long desired. Kim, for the first time, affably parried with the international press without having to account for his government's long history of oppression. He secured Trump's support for the opening of a liaison office in Pyongyang, without offering any concessions of his own. Even without an agreement, Trump's backing for the step toward normalization provided the sort of recognition the international community has long denied Kim's government. Experts worried that the darker side of Kim's leadership was being brushed aside in the rush to address the North's nuclear weapons program: the charges of massive human rights abuses; the prison camps filled with dissidents; a near complete absence of media, religious and speech freedoms; the famine in the 1990s that killed hundreds of thousands; and the executions of a slew of government and military officials, including his uncle and the alleged assassination order of his half-brother in a Malaysian airport. Trump also has a history of cutting short foreign trips and walking out of meetings when he feels no progress is being made. That includes a notable episode this year when he walked out of a White House meeting with House Speaker Nancy Pelosi and Senate Democratic Leader Chuck Schumer over a government shutdown, calling the negotiation "a total waste of time."